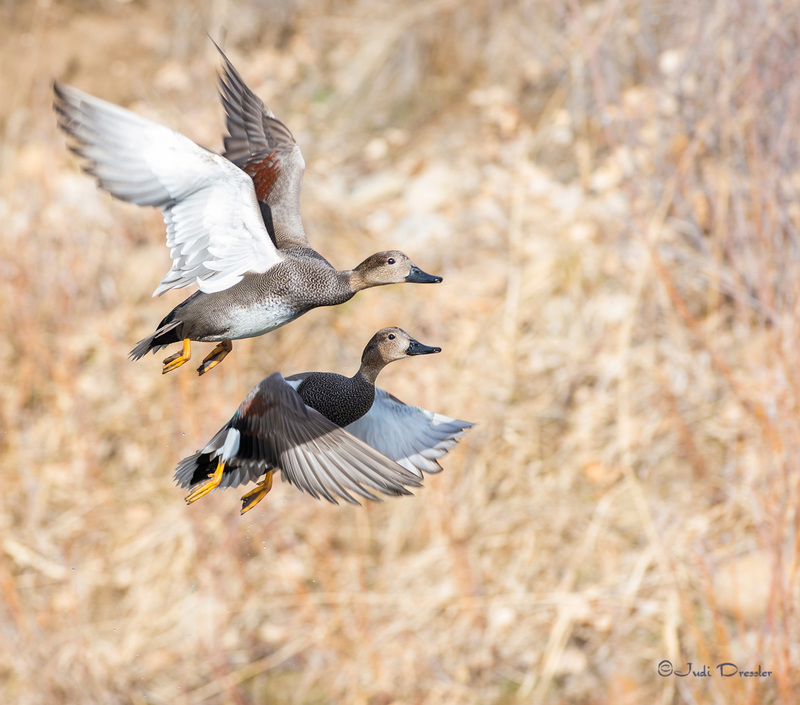 Gadwalls flying along a stream. It was a fun day, walking along, looking for ducks to photograph, and some were very cooperative. I especially liked these two flying together. Photo taken in January, 2017.